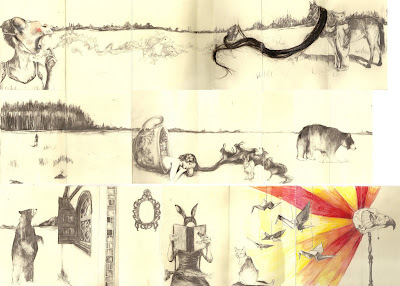 Drawings from my concertina Moleskinne book. one long continuous drawing - so, sorry about the lines. 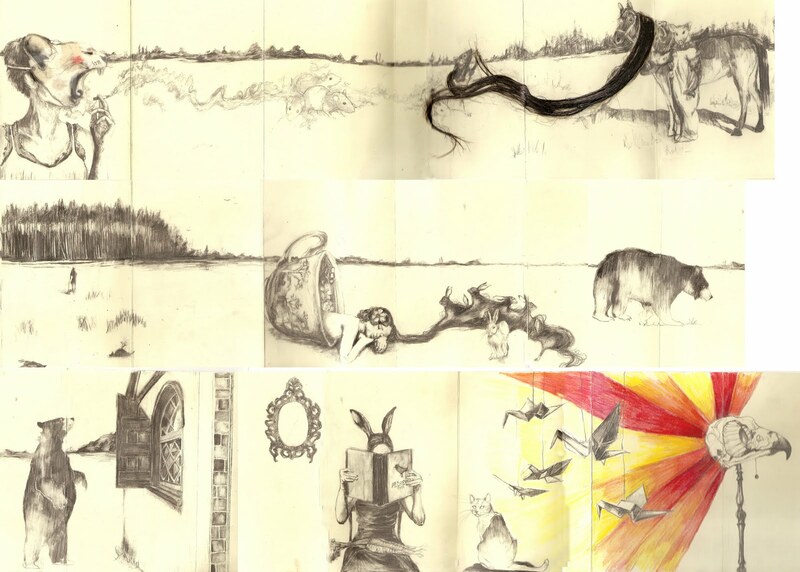 This is beautiful, I love the idea of one long on going drawing. You're so talented! This is really something special. Your drawings are wonderful. Ever since I started using hair in my sculptures I've become fascinated by drawings of hair. A lot of artists don't seem to be able to capture its essence but you do it beautifully. Thank you Wayne. Drawing hair inspired me to use hair in my sculptures. I think it's the tactile, creeping quality of hair that makes it so interesting to work with, and for me it's link with anxiety. I will take a peek at your work. Hi Joanne. Thanks for leaving a comment on my blog. I know what you mean about being addicted to the unpredictable nature of automatic drawing. I was up till 6 this morning having worked all through the night (whilst half-watching a few films) on a drawing. I wasn't happy with how it started so through sheer bloody mindedness I kept kept on drawing and over-drawing until something interesting emerged.